Budgeting is a good habit that is healthy for your wallet and for your mind, body and soul. Living within your means is essential to our financial well-being and a budget is the way to achieve it. There are numerous advantages to budgeting. For instance, budgeting will lower your stress, you will gain control of your spending and your life, you will gain a sense of security and most importantly you will acquire higher self-esteem that comes with financial freedom. Further, a budget not only assists in improving your financial position by reducing your spending but it also aids in investing the money you have saved and therefore, contributing towards the growth of money. 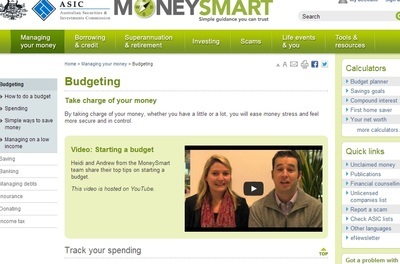 Have a look at MoneySMart website by ASIC to gain more information on the benefits of budgeting. The key to budgeting is to set a goal and stick to it. Avoiding temptation to deviate from your anticipated goal will come in very handy in adhering to your set budget. Here are some tips on how to create a budget. 1. Firstly decide whether you wish to have a weekly, fortnightly or monthly budget. Monthly budgets may be suitable in many respects, as a means of simplifying the calculations. However, it is wise to align your budget cycle with your pay cycle therefore, efficiently synchronising your spending with your income. 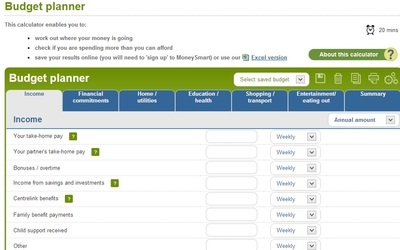 Remember you can actually download various free budget planners from numerous websites like MoneySmart and so forth. 2. Once you have set up a weekly, fortnightly or monthly budget, write down all your income from all sources in the budget period. 3. Next, make a list of all your expenses that relates to the budget period. You could start with a daily or weekly tally of all your expenses. Try to do it regularly without putting significant reliance on your memory. A tip will be to sit down with your monthly or weekly credit card statement to identify all your credit card expenses. 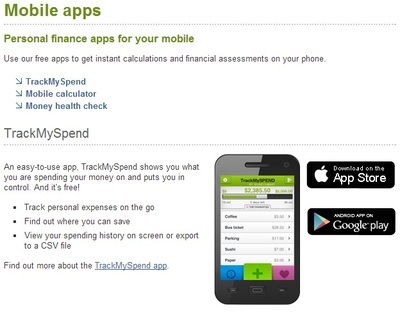 You can also utilise a spending tracking app like TrackMySpend app from MoneySMart website to maintain a tab on your expenses. 4. Reconcile your income and expense figures at the end of the budget period with your bank statements. 5. When you have a budget or a skeleton of a budget up and running, then start crunching the numbers. Scrutinise all your expenses in order to trim some of them. You may be able to identify unnecessary expenses which can be culled or reduced. 6. Finally, allocate your income into various categories by utilising your budget. You could adopt a plan to save 50% of your income and spend 50% of your income. 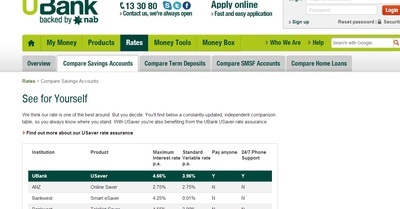 Or you could implement a plan to spend 20% of your income on lifestyle and entertainment, 40% of your income on household expenses like rent and bills and 40% of your income can get deposited in a high interest-earning bank account like a USaver account with Ubank. An effective and achievable budget can be the key to your financial freedom. What assistance is available to people with gambling problems?